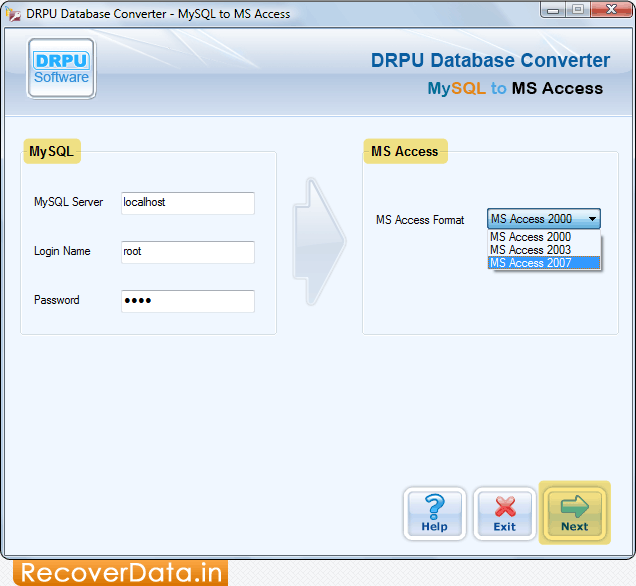 Enter all required information (MySQL Server, Login Name and Password) in left panel. 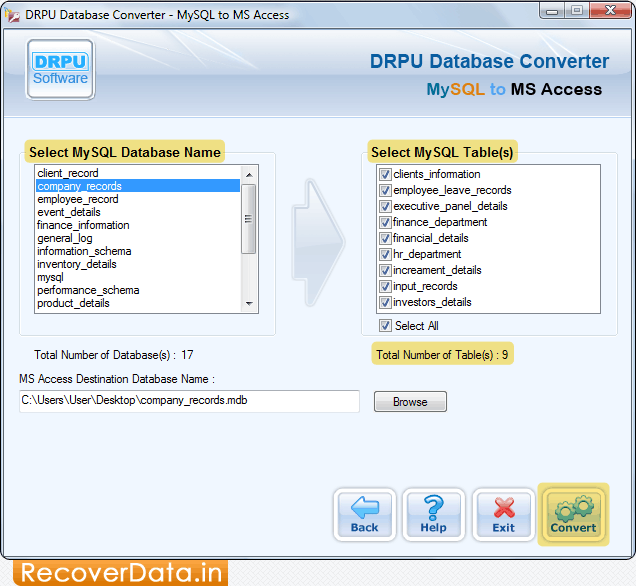 In right panel, select 'MS Access Format'. 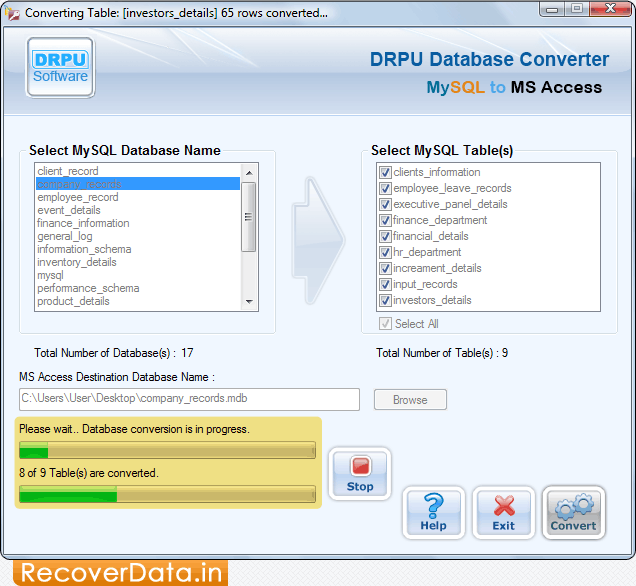 Select MySQL Database Name, MySQL Table(s) and click on 'Convert' button.